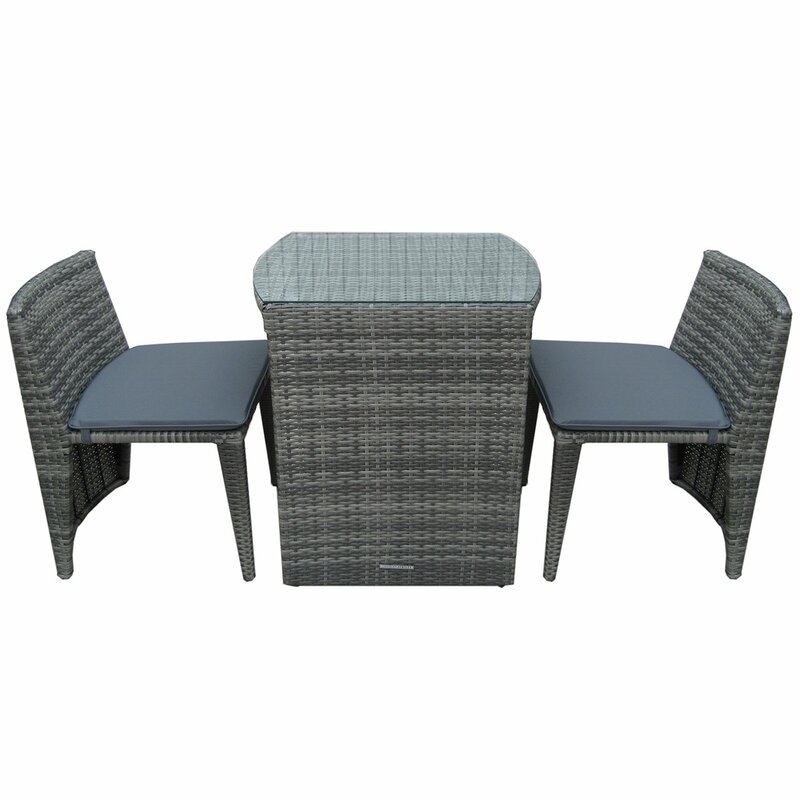 Perfect for dining outdoors and for smaller sized gardens, this 2 seater rattan dining set features a compact, space saving design. 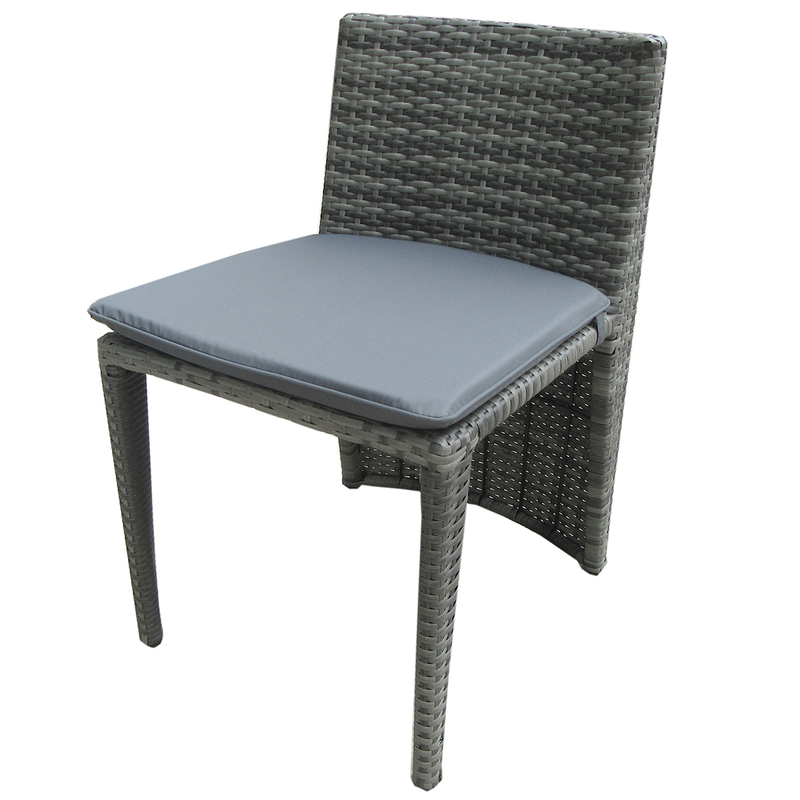 When not in use, the chairs can be tucked neatly under the table. 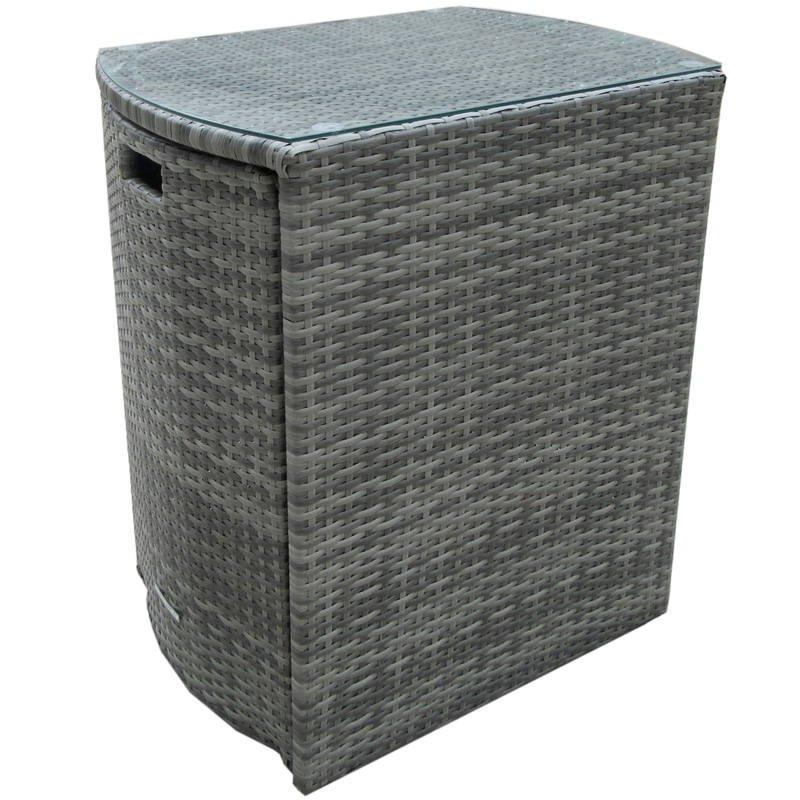 Crafted from a weatherproof, variegated flat weave rattan, you can leave this stylish set outside all year round. 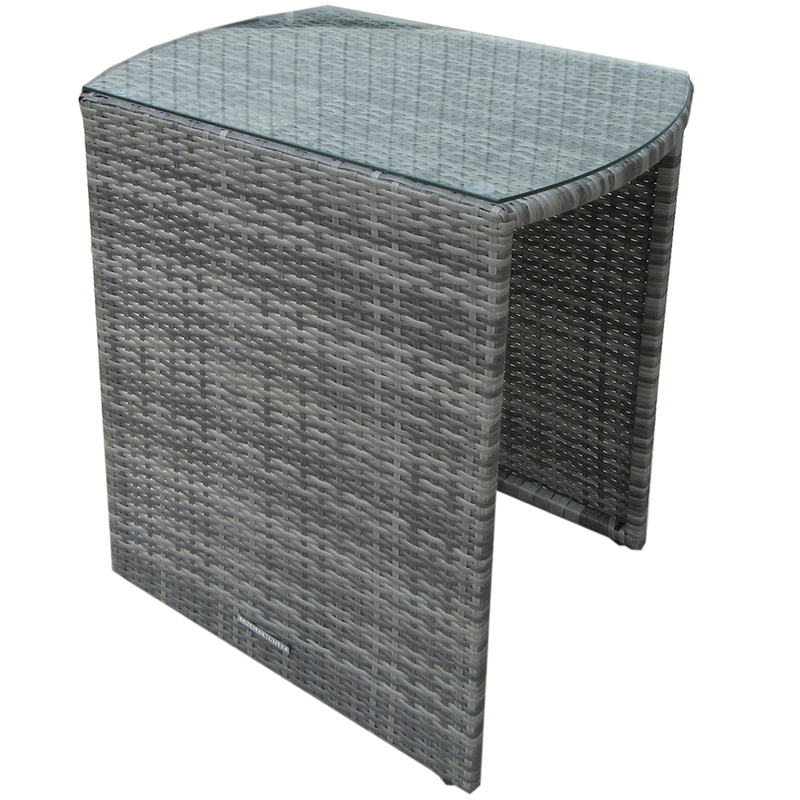 The table is finished with high quality tempered glass and is easy to both maintain and clean. 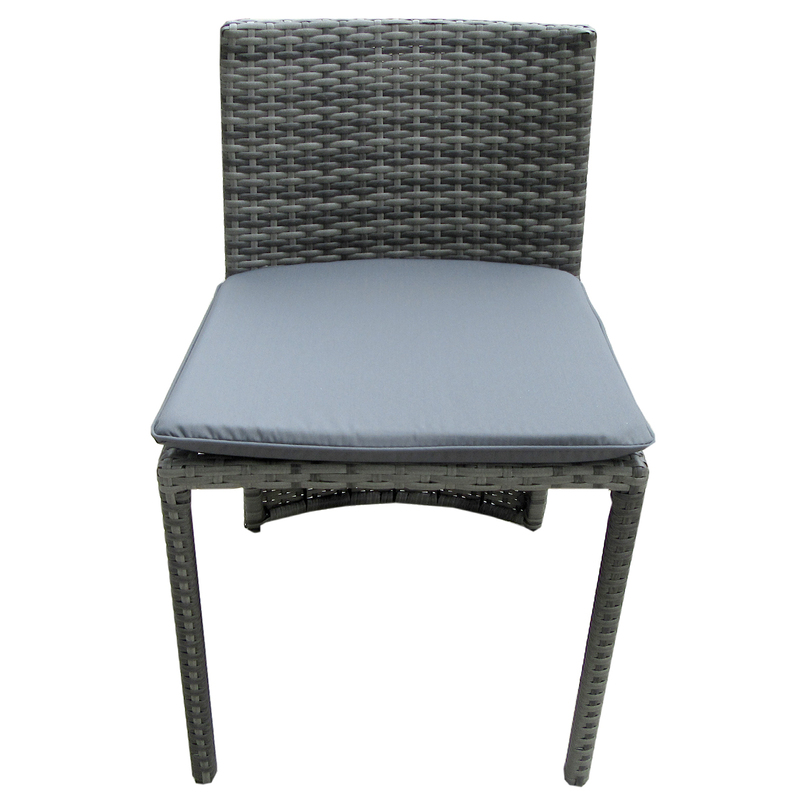 Available in a choice of two colourways, this contemporary set comes complete with cushions and is fully assembled, so you can sit in comfort in the garden, straight away. Ideal for balconies and sun rooms, this set draws inspiration from Italian cities and is part of our popular Verona and Napoli ranges. Please Note: Matching outdoor furniture is available. 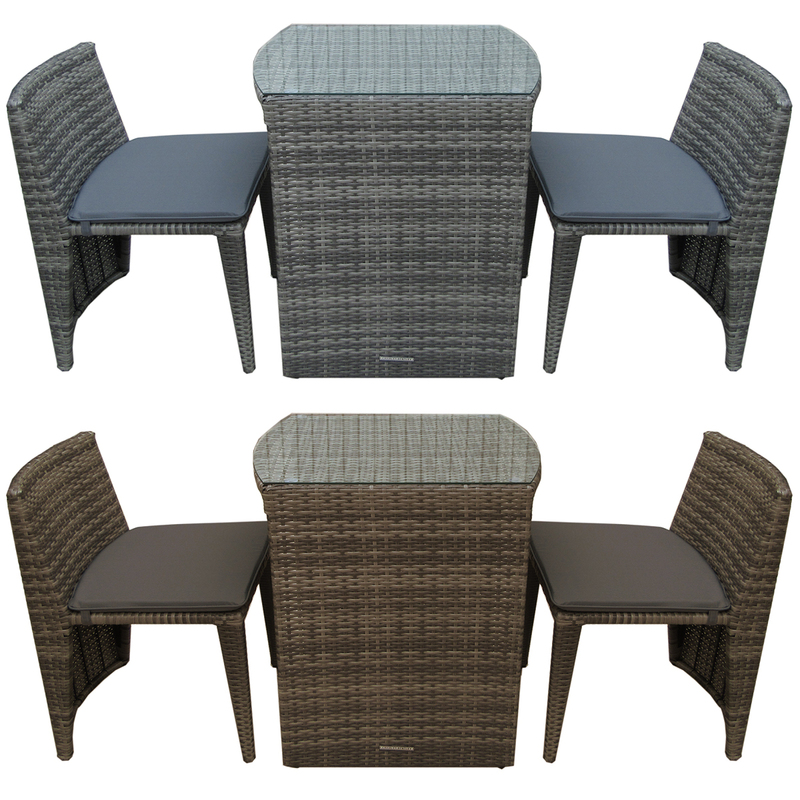 The Grey set is part of our Napoli range and the brown is part of our Verona range. Wipe with a soft cloth and mild soapy water and dry thoroughly. When not in use, bring cushion inside.